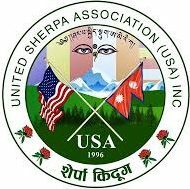 Lhapap Tuchen – UNITED SHERPA ASSOCIATION (USA), INC.
Lhapab Tuchen is celebrated for the Buddha’s descend from heaven on the earth. It is one of the four great holy days in Mahayana Buddhism. It occurs on the 22nd day of the ninth month according to Lunar Calendar –usually falls in the third week of November in Western Calendar. The event is observed by organizing a special service at the community center and monasteries.